Joomla! is one of the most popular Content Management Systems in the world and has grown to power millions of websites over the last several years. 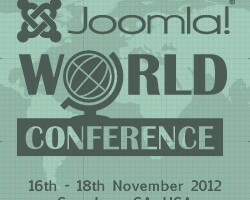 This conference is a community meeting, and a great starting point for getting involved in the Joomla! community. You’ll get information about almost every aspect of the Joomla! CMS, the Joomla! Web Application Platform, and about the Joomla! Community, the one and only community driven Open Source project. Join us for three days of information, discussion and new ideas. We have presentations, workshops and a lot of fun. This is not a one-way presenter to attendee conference. You will be involved in sessions and discussions, and have the opportunity to give your own presentation. Joomla!’s awesomeness lies in its great community, we are working all together towards a bright future of the CMS we all love.